Born and raised in Eugene, Julia Harvey got interested in marine biology as a second-grader at Spring Creek School. "We did a unit on marine mammals," she recalls. "In fourth and fifth grade, we went to see tide pools and the aquarium." Harvey took every science course available at South Eugene High School, then enrolled at Occidental College in LA. "We shared a boat with other small colleges," she says. "We went out of Long Beach Harbor every other Friday for fish studies." She graduated in 1990, joined the Peace Corps and found herself teaching high school science in an island village in the Kingdom of Tonga. "The students were respectful and eager to learn," says Harvey, who stayed three years, fell in love with teaching, then got into a Peace Corps fellowship program at Wichita State U and earned a masters in education. "I moved back to Eugene the next day." 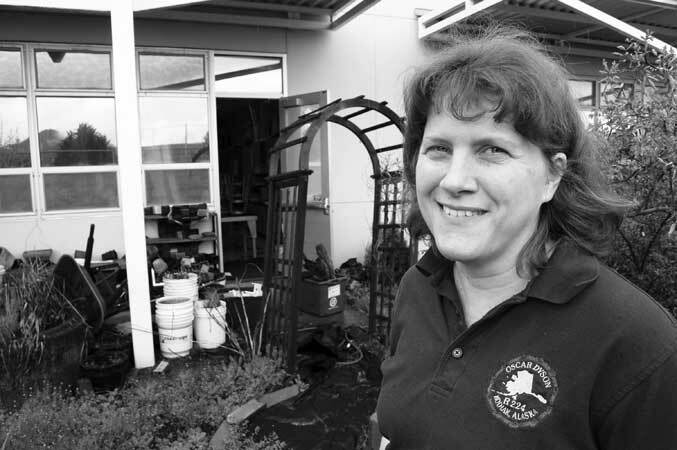 Since 1999, she has taught biology and environmental science at her alma mater, South Eugene. "We take lots of field trips," she says. "The kids develop protocol, do research, and present results." For three weeks last summer, Harvey lived her dreams of marine biology research as an NOAA Teacher at Sea. She served aboard the NOAA Ship Oscar Dyson, as a crew member on a walleye pollock survey in the Gulf of Alaska. Search on "Julia Harvey NOAA" to find her detailed blog.